CNC milling is an essential part of our production process, and to ensure our service remains at the forefront of the CNC industry, we recently invested in a new CNC miller. The Mori Seiki Super Miller 400 5 axis allows us to carry out CNC milling with more efficiency, accuracy and speed than ever before. Whether you’re looking for a bespoke order for a one-off prototype, or a large batch of parts, Fastec can help. We’ve worked with a wide variety of industries over our years in the business, including pharmaceutical clients, agricultural businesses and the automotive industry. From small independent organisations to large high-profile businesses, no job is too big or too small for Fastec Engineering. Whether your priority is intricate detailing or speed and reliability, with Fastec Engineering you can have it all. 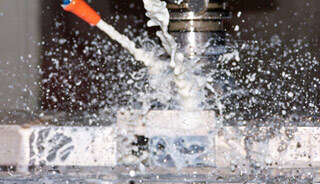 Combining cutting-edge equipment with skilled craftsmanship, we’re able to cater for all your CNC milling needs. If you’d like to find out more about how we can help your business, please call 01638 660 186 to speak to one of the team. Alternatively, you can fill in our online contact form and we’ll get back to you as soon as possible.